Learning is a continuous process. Each day we enrich our experience and knowledge by coming across new events and various interactions. Investors relentlessly strive to get their decisions right. Clinical precision is what they seek, some like Warren Buffet succeed, some other wannabe ‘Buffets’ are not as fortunate. The quest for new information and knowledge continues perpetually. Here are a few things which investors will find interesting and will aid them in their search for knowledge and perfection. Life along with the various other components associated with it, are cyclic in nature. Life cycles and business cycles provide a fair idea of how the circular pattern manifests itself. A serious investor is also well aware that cycles have an important role to play in their investment decision and actions. Rule II:	Some of the greatest opportunities of gain and loss accrue when people forget rule one. “Every rise has a fall”, “good things do not last forever just as bad things cannot be everlasting” and other such similar metaphors go on to highlight the fact that the circle or wheel is always rolling. 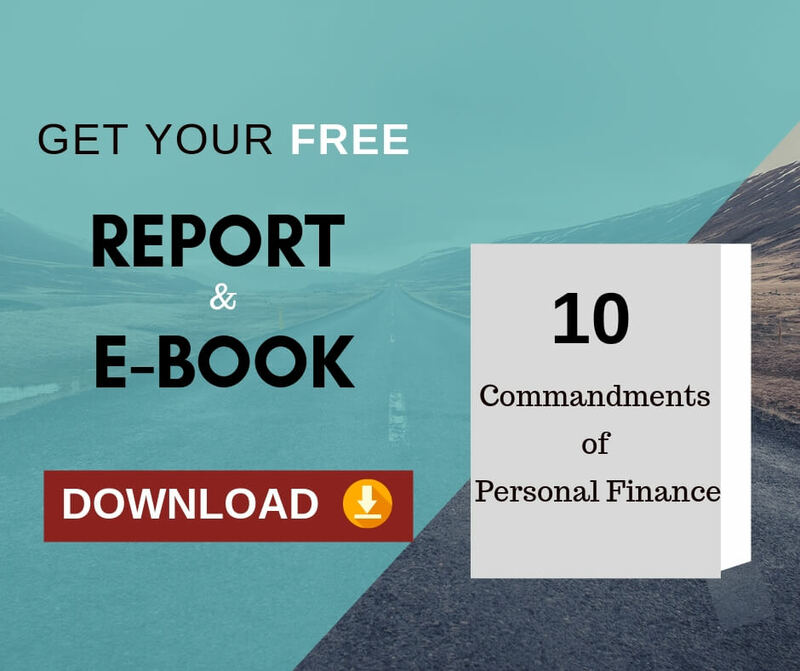 An investor cannot afford to forget the existence of credit or investment cycles and should not base their investment decisions merely by extrapolating trends into the future. If the present position of the cycle cannot be properly deciphered then it will lead to the belief that the chain of good or bad events will continue everlastingly. With experience, knowledge and increased awareness investors are able to identify patterns and can shape their financial behavior and attitudes accordingly. While it is always wise to be aware of the past it is also important to be attentive about the present. A fact which is adequately backed by figures prove that mistakes and scams occur more often during the best of times than otherwise. Market watchers tell us that when cheap money is offered, people often borrow, buy and build indiscreetly which later snowballs into a major crisis. While it is easy to surf the internet and consult sundry magazines and newspapers for future forecasts, it is essential and imperative for a prudent investor to understand the nuances of cycles. This will help them to base their investment decisions on a sound footing. Howard Mark uses pendulum as an analogy to explain the market behaviour. The investment market is like the pendulum of the old grand father’s clock. It goes ticktock from euphoria to eureka at one end and desperation to dismay at the other. Knowing which way the pendulum is moving is at the essence of good judgement in the investment field. Under ideal conditions the best position for an investor vis-à-vis the pendulum is when it is neither on an upswing nor on a downswing but at the point of equilibrium. However, this is purely a hypothetical situation as the pendulum will perpetually swing back and forth and will rarely be in equilibrium. The investor has to understand the behavior of the pendulum in a manner which will give him the best leverage. This is by no means an easy task and it is always difficult to identify how long an arc the pendulum is going to make on either side. It is always important to assess a position with respect to various direct and indirect influences working in the immediate environment. This is equally true in the world of investments. Knowing where we stand in the market lets us make an objective assessment of the situation and act accordingly. Our position on the investment landscape is measurable when there is awareness about the business cycle, the progress of the pendulum is known and discretion is used to judge information available. Pragmatism remains the cornerstone of good investment decisions. The mantra for happy life of the investor lies in being proactive in cutting down undue risks, zealously grabbing opportunities and gauging the market sentiments and attitudes. While driving through blinding rain or swirling fog a driver has to use a combination of his knowledge, skill, confidence and perseverance in overcoming the odds. He cannot follow the same method as other drivers (on the same route) in all cases as the parameters may be different for him – bigger car, less fuel, different physical features etc. This brings about a change in the driving strategy. For an investor the situation is somewhat similar as in both cases it is not known as to what lies ahead. 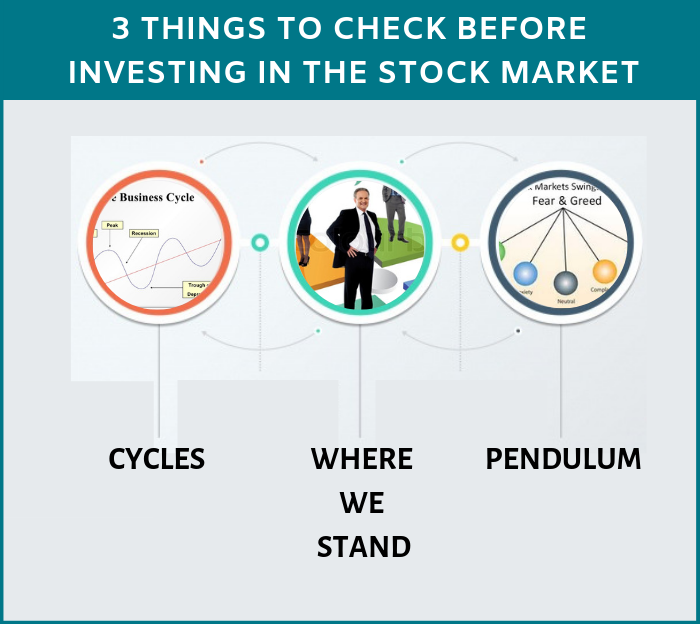 Investors would be keen to know how they can sharpen their skills by being acquainted with knowledge about the cycles, the position of the pendulum and the place where they stand. I. Are investors optimistic or pessimistic about the market? II. What do the media and financial experts have to say about the market – indulge in or refrain? III. Are security offerings and fund opportunities being weighed upon for making windfall gains or pitfalls? IV. Is capital readily available or hard to obtain as per the current credit cycle? V.	Are P/E ratios high or low in the context of history and are yield spreads tight or generous? VI. Is too much money chasing too few deals? 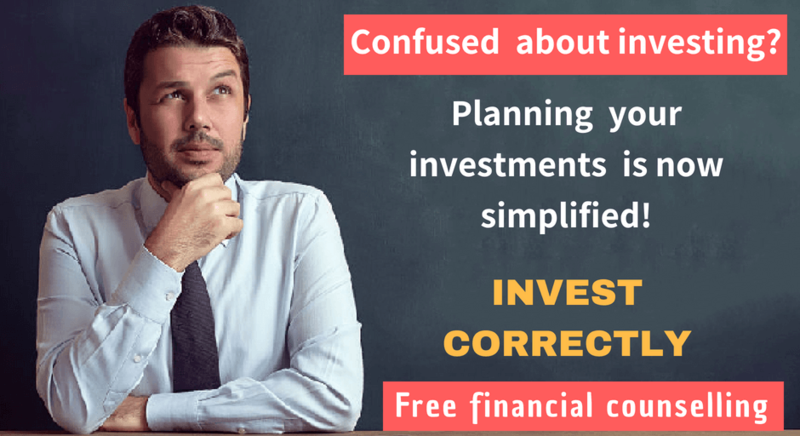 Assessment of the answers can be done by the investor himself or help can be sought from an expert financial adviser who can interpret the results of the questions and provide good guidance and feedback to the investor.